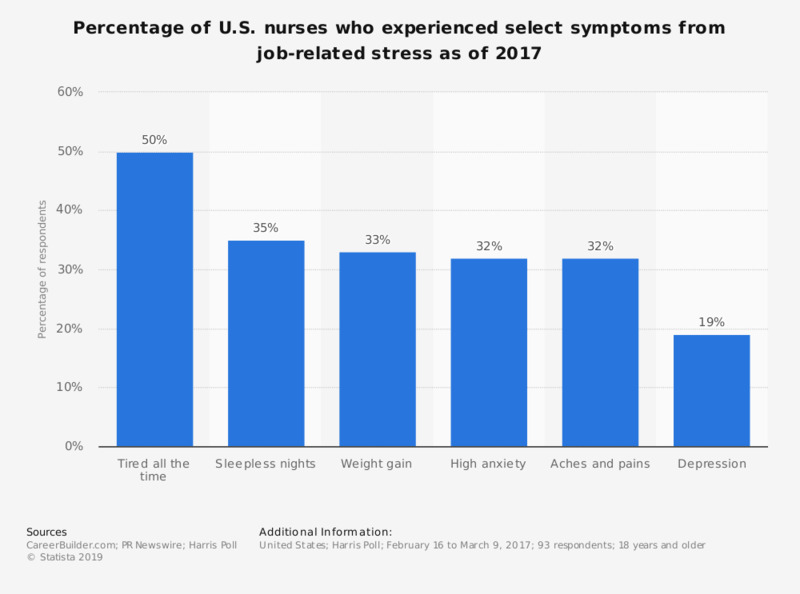 This statistic displays the percentage of U.S. nurses that had select symptoms associated with work stress as of 2017. According to the data, 50 percent of nurses felt tired all the time due to stress from work. How often do you feel stressed out in your workplace?